"So you lied to me about everything?" 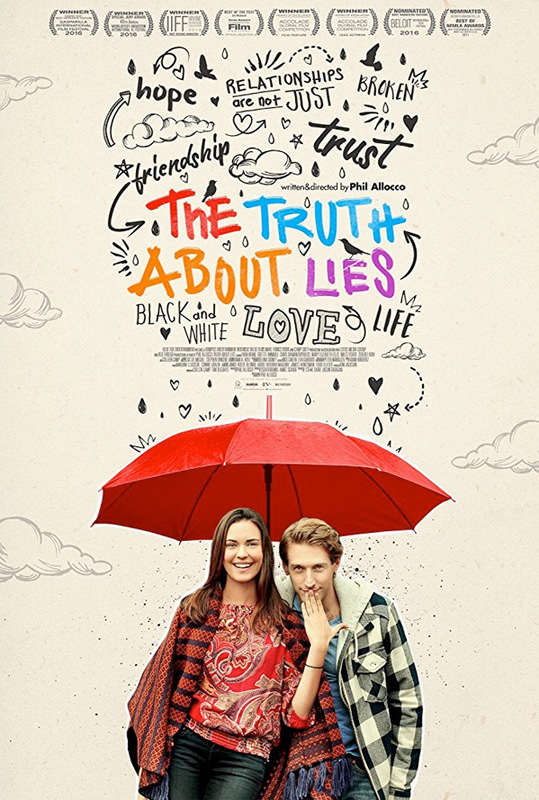 Blue Fox Entertainment has debuted the first official trailer for an indie romantic comedy titled The Truth About Lies, made by writer/director Phil Allocco. This quirky comedy is about a guy who starts coming up with a series of lies in order to impress a girl. Fairly simple premise. Fran Kranz stars and Gilby Smalls, and the girl he falls for is played by Odette Annable, who you'll recognize from Cloverfield or The Unborn. The cast includes Colleen Camp, Mary Elizabeth Ellis, Chris Diamantopoulos, Oakes Fegley, and Laura Kightlinger. This doesn't look that unique, almost like every other quirky indie romantic comedy. And I'm pretty sure he's going to get the girl in the end, too. In The Truth About Lies, Gilby Smalls (Fran Kranz) is having a meltdown. He's just been fired from his job, lost his apartment in a fire and his girlfriend gave him the boot so he's forced to move in with his booze-swindling man-obsessed mother. Life is bleak and as he’s desperate to turn things around he meets his friend's beautiful sister who appears to be everything he ever wanted. Desperate to impress her, Gilby weaves a web of lies, one bigger than the next until he finds himself in too deep, when the truth proves to be too much to admit and even harder to accept. The Truth About Lies is written and directed by filmmaker Phil Allocco, making his feature directorial debut after a number of short films and docs previously. Blue Fox will release The Truth About Lies in select theaters + on VOD starting October 27th this fall. Anyone?